Below is the HondaJet Performance specifications from the Honda Aircraft Company. The HondaJet performance information is preliminary until the HondaJet is certified by the Federal Aviation Administration (FAA). 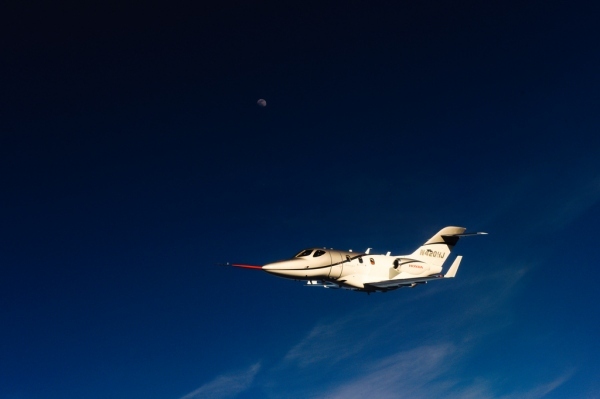 HondaJet Range: 1180 nautical miles (nm) 4 occupants with NBAA IFR fuel reserves. Honda Aircraft will be releasing more information on the HondaJet Performance once the aircraft is certified. To learn more about the HondaJet visit the other HondaJet page on the site. The HondaJet Performance is also referred to as the Honda Jet Performance, Honda HA-420 Performance and the HDJT Performance. Above HondaJet Performance Photo by Honda News on Flickr. Photo (only) released under a Creative Commons License.